Summer, oh, summer, how do I love and hate thee? There are so many reasons why I like and dislike summer - Likes: beach escapades, halo-halo, cold drinks, lesser traffic; Dislikes: scorching heat, sun burn. But on this post, let's focus on one thing I like most - drinking cool drinks to beat the summer heat! 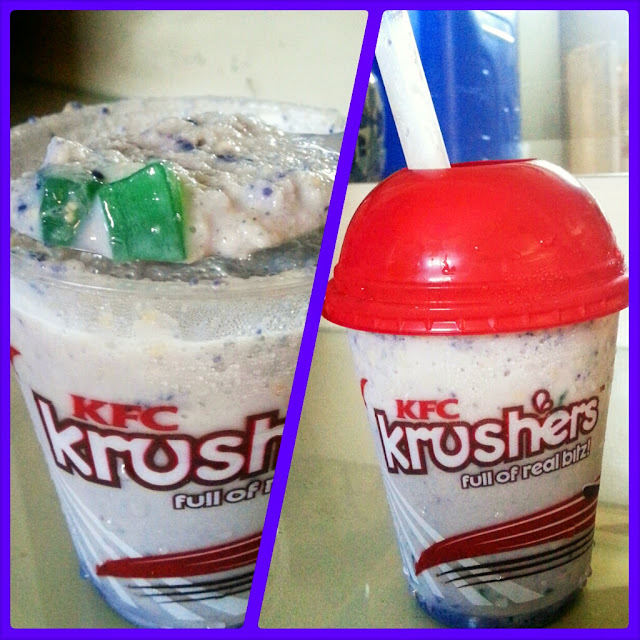 I've recently tried two delicious KFC Krushers - Buko Pandan and Halo-Halo - which draws inspiration from two summer favorites of Filipinos. If you love eating buko pandan and halo-halo as dessert items, these drinks would definitely be something you'd like too... this time, drinking and not eating. The Buko Pandan Krushers has a slight green-ish color with a refreshing taste of buko drink, mixed with bits of real macapuno, shaved coconut/buko meat, and green nata. 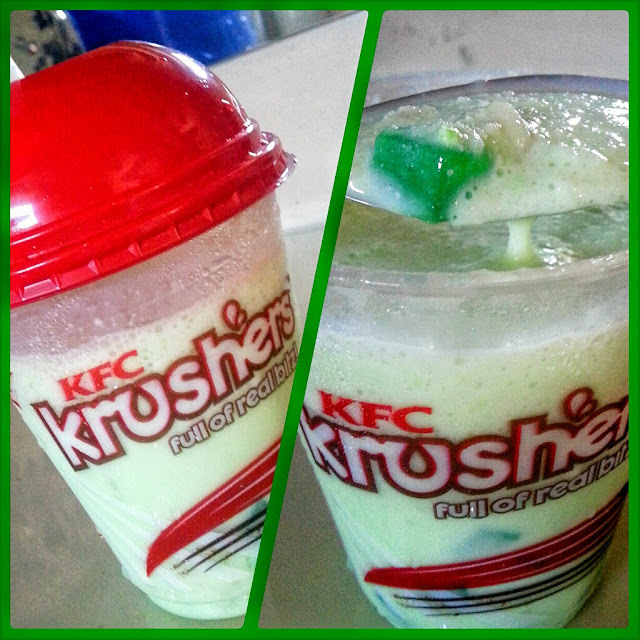 I love how KFC turned a popular buko pandan dessert into a drink! One the other hand, the Halo-Halo Krushers has a purple-ish tint with creamy ube as the star, mixed with bits of real macapuno, sweet leche flan and nata. While most of the ingredients are similar to that of the buko pandan, the taste of each drink can still be differentiated because of its base flavor. 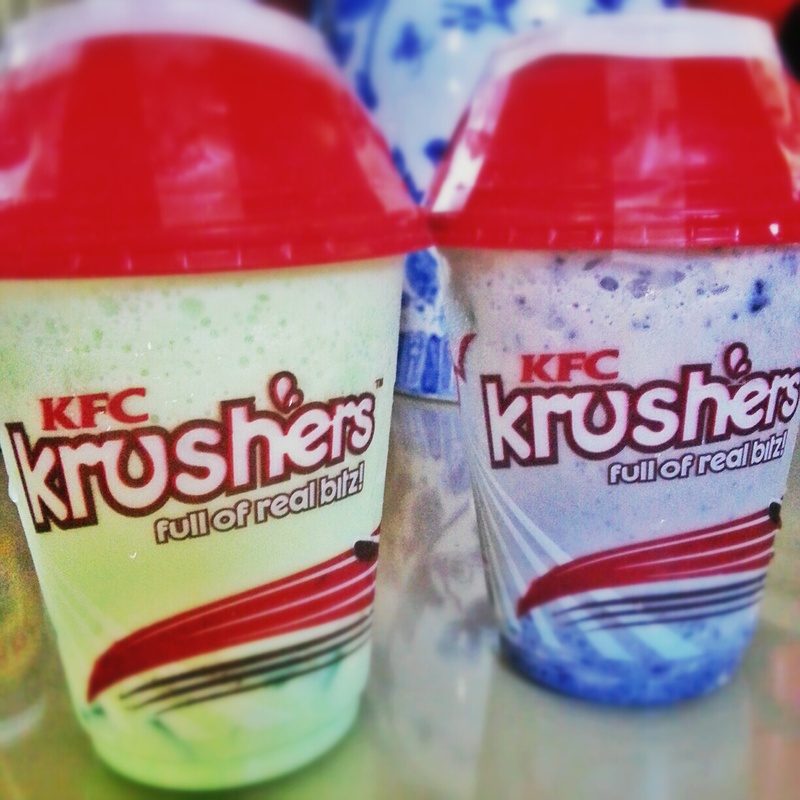 Between the two, I like the Buko Pandan Krushers better as it really tasted like the dessert. Both drinks can be tad too sweet for some people, but will surely be loved by people who have sweet tooth. Both drinks are so refreshing too! The Buko Pandan Krushers and Halo-Halo Krushers are available in all KFC stores nationwide this summer at only Php69.00. It might not be there for too long, so better grab 'em while it's "hot"! KFC has also come up with a new gimmick that goes beyond anyone's definition of 'cool' - the Krushers Island Promo. Get a chance to own an island where you and seven of your friends can spend two days and three nights of fun and adventure by simply creating a meme of the Krushers Island microsite and convincing everyone just how awesome and cool you are. For regular updates, follow KFC on Twitter @KFCPhilippines and like their Facebook page as well.